Aren’t We All ‘Next To Normal’? What is ‘normal’? And are others allowed to answer that for us, or is it up to us to determine what ‘normal’ feels like in our own skin? 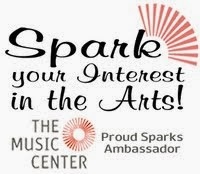 It’s a question I thought about after seeing East West Players’ production of ‘Next To Normal’ last week. The Tony-and Pulitzer Prize winning musical centers around a suburban family struggling to find some sense of order in the midst of illness and grief. Diana (Deedee Magno Hall), a mother with bipolar disorder, agonizes over the havoc and stress her illness puts on her marriage and family. Her husband Dan (Cliffton Hall), while trying to help his wife, is having a hard time confronting his own depression and an unfathomable loss. Their overachieving daughter Natalie (Isa Briones) tries to cope with her mother’s unpredictability and while shielding her boyfriend Henry (Scott Keiji Takeda) from her family that is not quite ‘normal.’ And in the midst of it all is son Gabe (Justin W. Yu), who we discover is the source of all their heartbreak. We see Diana’s journey through treatment and medications that others hoist on her to make her ‘well,’ but at the same time are making her feel numb and joyless. (Yes, it will definitely punch you in the gut at times. Bring tissues.) While there are heavy issues that seem even more intense because of the intimate staging of the production, there is also a theme of resilience and hope that carries throughout the story. Next to Normal — music by Tom Kitt, and book and lyrics by Brian Yorkey — tells the story of the seemingly perfect Goodman family. However, Diana, the mother, is a little too happy. Her husband Dan constantly worries. Her daughter Natalie is awfully intent on getting that scholarship to Yale. And her son Gabe, well… This Tony Award- and Pulitzer Prize- winning rock musical is a heartbreaking, humorous, and unflinchingly authentic look at a suburban family struggling with the effects of bipolar disorder. Being a parent and a spouse, I found Diana’s focus so relatable — the overwhelming desire to keep her family and her marriage functioning, while at the same time tending to her own needs. Hers is a universal struggle: How do we tend to those we love, when our own well runs dry? While theirs is a unique story, it also alludes to the dysfunction and dissonance that exists in the dark undercurrent of so much of what is perceived as normal suburban life. 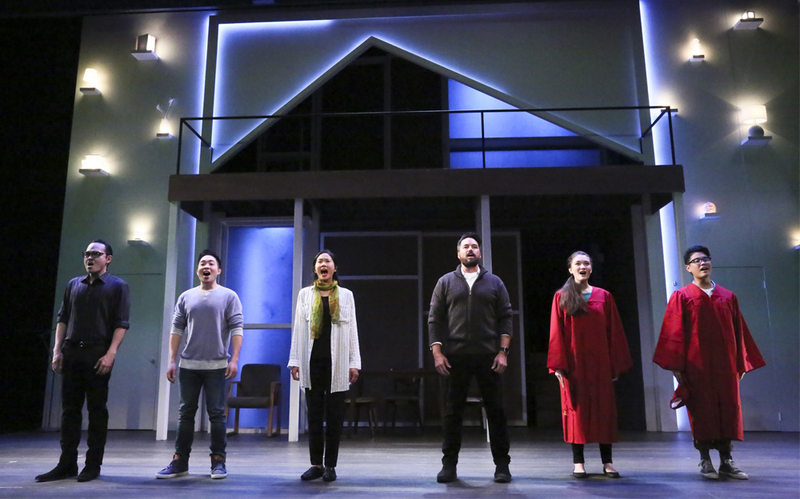 ‘Next to Normal’ will not only move you with its message, uplift you with its music and make you laugh with its wry humor — it will also give you a fearless, raw view into the world of mental illness and its sometimes controversial treatments. It may also leave you wondering what ‘normal’ is, and ultimately what that means to each of us. The timing of this particular production was significant: May is Asian Pacific American Month (EWP is and the largest producing organization of Asian American artistic work) and this month is also Mental Health Awareness month, which tied in with the show’s themes of mental illness, loss and suicide. Focusing on the theme of mental illness is particularly significant with this production, considering the stigma surrounding mental illness in Asian American culture — Asian-Americans are three times less likely to seek mental health services than whites. Additionally, among Asian-American women who witness depression in their families, many stay silent due to cultural pressure and because they fear the stigma for their families even more so than for themselves. Kudos to East West Players for their dedication and perseverance in supporting these productions that give Asian-American actors, artists and writers a place to be seen and heard, and for shining a light on issues that affect our community.